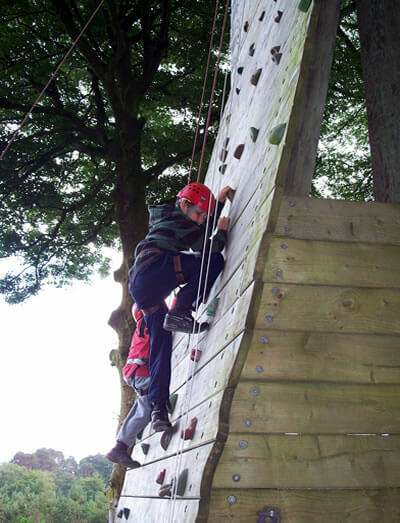 At Kippure Adventure Activity Centre, we love working with youth groups with our large range of outdoor activities and adventures! The activities on offer emphasise personal development, foster teamwork and encourage youth to get involved with physical activities. We’re confident that we’ll have the perfect outdoor activity for you because we offer a diverse range of options. We can also customise bespoke programmes according to the learning outcomes you’re looking for, or build them around a specific activity you’re interested in. We’re here to help you achieve whatever you’re aiming for. If teambuilding is your aim, we can organise a day of ‘learning through adventure’, with an emphasis on youth gaining knowledge about each other while building trust and fostering communication. Such youth group activities can be customized for your club’s abilities/interests, and can include high and low ropes courses, climbing and abseiling, orienteering. If you’re looking for watersports, Kippure Estate is near the Blessington Lakes. We can organise kayaking and water games, an exciting raft building challenge and more! For the ultimate ‘being one with nature’ experience, youth clubs can participate in a bush craft event. Teams work together to navigate to retrieve vital supplies, build a shelter and a fire. If you’re looking for a challenging yet entertaining activity then why not try paintballing? Kippure Estate’s paintball area is located in a secluded corner of our wild and wonderful estate. Be assured, a paint ball event promises an action packed day young people will love! Some of the other youth club activities we offer include guided hillwalking and Map & Compass challenges. If you want to split activities over two days or just stay a night, we have group accommodation which is well-suited to youth group and school bookings. Kippure Estate offers budget-friendly lodging onsite for youth groups and their leaders. To find out more about the various group accommodation options Kippure Estate offers follow this link. To make things even more affordable for your youth group, we’ve created a special offer. One teacher or leader can join for FREE for every 10 young persons in your group. This offer is valid to a maximum of four teachers / leaders. Our staffing ratio is one instructor to ten young people. Teachers / leaders can join the young people on any of the activities throughout the day, or join in their evening programme. Alternatively they can observe from a distance, free to relax and unwind away from all the excitement secure in the knowledge that their group is in very capable hands.